Coating a thin Al/Zn layer on the surface of plastic film, will get high self-healing Al/Zn metallized film for capacitor use. 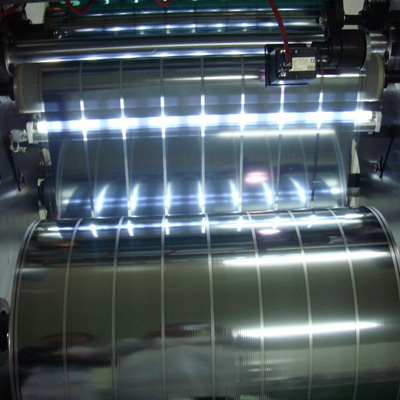 The prominent feature of metallized film is its self healing ability. That is, when somewhere is breakdown, short-circuit current can make the film around the breakdown area melting and evaporation to recover its insulation property. Thus significantly reduce the impact on the breakdown strength by conductive defects and weakness in paper or film, thereby improving the working field. Generally the thickness of the metal layer is 5nm-50nm, but on the international it can be 1nm-100nm. In terms of heat resistance, 1nm-100um is preferred, while ideration of electric properties, 5nm-50nm is more preferred. Under the same evaporation conditions, the larger the coating thicknessδ, the smaller square resistance (Ω/□) , the smaller the resistance R, the greater the load current, while the worse self healing properties. 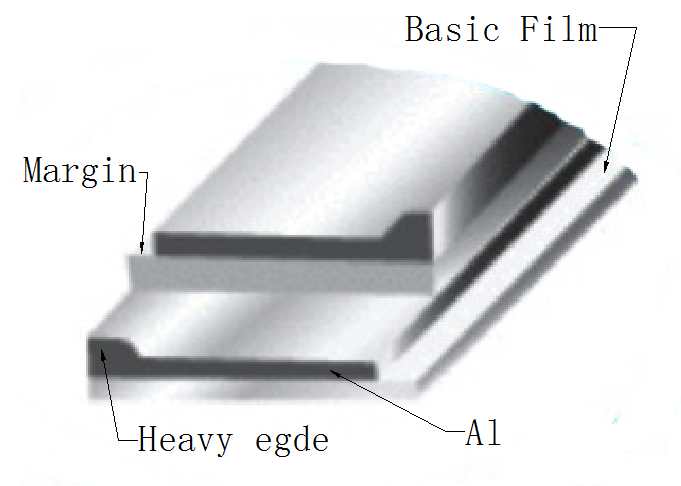 Al/Zn metallized film use heavy edge evaporation method, greatly reduce the contact resistance between the spraying area and the cores of the film capacitors, which has improved the quality of the capacitors. 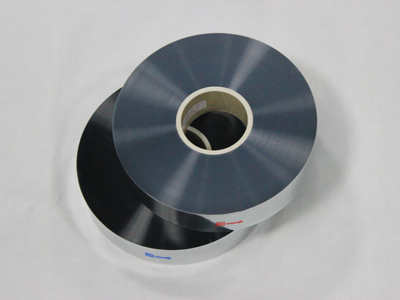 Al/Zn metallized film has a better pressure resistance. 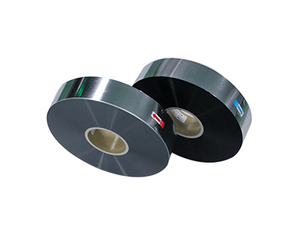 Al/Zn metallized film has a worse moisture resistance, easily oxidized. 1、Metallized film should be stored in its original package until its use with temperature 5 ～35℃and humidity less than 85%RH. 2、Metallized layer is easily oxidized when exposure to moisture. Therefore, the film should be used as soon as possible when opened. 3、The recommended temperature is 15 -25℃with humidity less than 60%RH after the package is open.